Capcom isn't working on a Resident Evil 2 remake, but it is open to the idea. 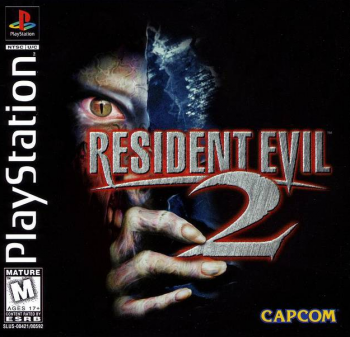 Those with fond memories of Resident Evil 2 should be getting a fan campaign together, as that's the only thing which will persuade Capcom to revive this survival horror classic. In a video interview Capcom producer Yoshiaki Hirabayashi wanted to make it clear: Capcom isn't working on a remake, but is prepared to consider it. "If the fans really clamor for it," said Hirabayashi, "if there's a groundswell of support for remaking that game, then I think that's something Capcom would take under consideration." Judging by the laughter that greeted the question 'is a remake on the way' this is a question that Hirabayashi has had to answer once or twice before. He clearly didn't want to get anyone's hopes up. Resident Evil 2, for those with hazy memories of the late 90s, is the game that really kicked off the franchise. It grossed more in its opening weekend than most Hollywood releases did. Leon Kennedy and Claire Redfield go poking around in the remains of Raccoon City, and encounter pretty much what you'd expect them to encounter in a zombie-infested hellhole. It's also the first title to feature Ada Wong, one of the series' most popular antagonists. A full-length version of the video interview can be found here.